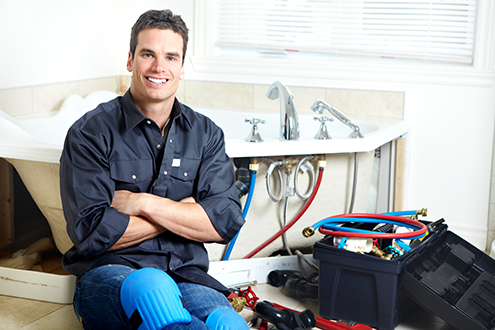 If you have a plumbing related issue in your home that you need resolved, contact The Oxford Plumbing Experts today for a FREE QUOTE. We have years of experience working in all fields of both commercial and domestic plumbing in all areas of Oxfordshire. We’re also experienced in the fields of heating repairs, drainage, home extensions, electrics, and kitchen and bathroom plumbing installations. SAVE MONEY and get it done right first time! Having issues with your boiler, heating or hot water systems? Contact us today. Need your bathroom suite installed? We can also help fix an existing plumbing issue. Not only do we specialise in plumbing, we also employ a team of electrical engineers. We employ a team of professional carpenters who can help with your home improvements. We can help fix and repair your leaking flat roof, or provide you with a new one. Have issues with drainage? Contact the experts and get the job done right the first time. We can assist with extensions. Not only do we build them, we can do the plumbing too! Can’t be more pleased with the new central heating system. I am quite happy to offer a personal recommendation as to their price and quilty of the services they offered. Thanks again!